Bang, Rattle, Click..Does your family dog bark when the furnace comes on? We have technicians that are courteous and polite ready to help you with all your HVAC needs. We have Expert heating service available 24/7, 365 days a year. We service any brand of furnace or other heating system. Service trucks fully stock with most common parts needed to get your home heating again. Get a coupon for $30 off any heating repair*. Spend less on utility costs and avoid future heating repairs with our Family Plan Maintenance Program. Carl’s Quality provides many homeowner’s with excellent service everyday. 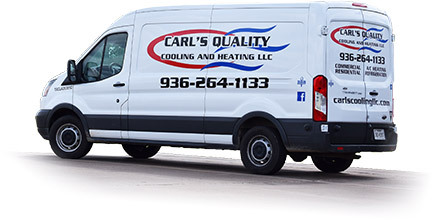 If you need your heating system serviced, repaired or replaced Carl’s Quality Cooling and Heating, LLC is the place to contact.